Sir Peter Scott’s observations of natural history will interest not only scientists but also all those who have a fascination with places and their wildlife. This volume records his journeys, drawings and paintings in Hawaii, California, Alaska, Florida, The Bahamas, Iceland, Norway, Spitzbergen Greenland, Israel, Romania and Siberia. 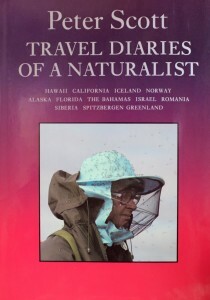 Buy Travel Diaries of a Naturalist Volume II on Amazon.